For this week's Hit me with your best shot, Nathaniel decided to tackle the infamous Oscar-winner "How Green Was My Valley", aka "Nostalgia: The Movie". I say this in jest, as I quite like the film despite its penchant for overt sentimentality. On this rewatch, I was actually quite intrigued by the way director John Ford manipulates the schmaltz in the film. Sure, there's an overarching nostalgia, but there are also instances where it's curiously downplayed (notice how unceremoniously the boys depart their home for example). The sentimentality is so frequently undercut by rugged "manliness", derived from the coal mining industry that sustains the town. Suffice it to say, it deserves more than its "sappy trifle" reputation would suggest. 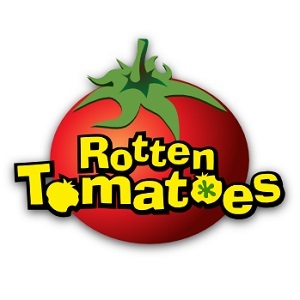 Staying on the subject of sentimentality, I've always loved the film's title. It's so apt, as it perfectly conveys the tone and message of the film. The past tense and lack of question mark instantly put you into the mindset of the film's narrator, reminiscing about happier times. It practically compels you to let out a sigh after saying it. For my best shot then, I decided to go with something that best captured the general feeling of the film and its title. As you can see, I went with a rather obvious choice. I just couldn't resist it. The shot comes from a scene where the narrator recalls strolling through the fields with his friend/mentor Mr. Gruffydd, a local preacher. As they reach the top of a hill, they look out on that green valley and all's right with the world. 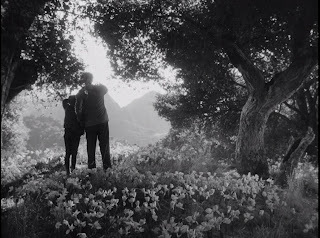 Ford later revisited a similar provincial landscape in "The Quiet Man" with vivid Technicolor results, but the black-and-white cinematography here is just as lush. You can almost smell the flowers and feel the warm rays of sunlight on your skin. 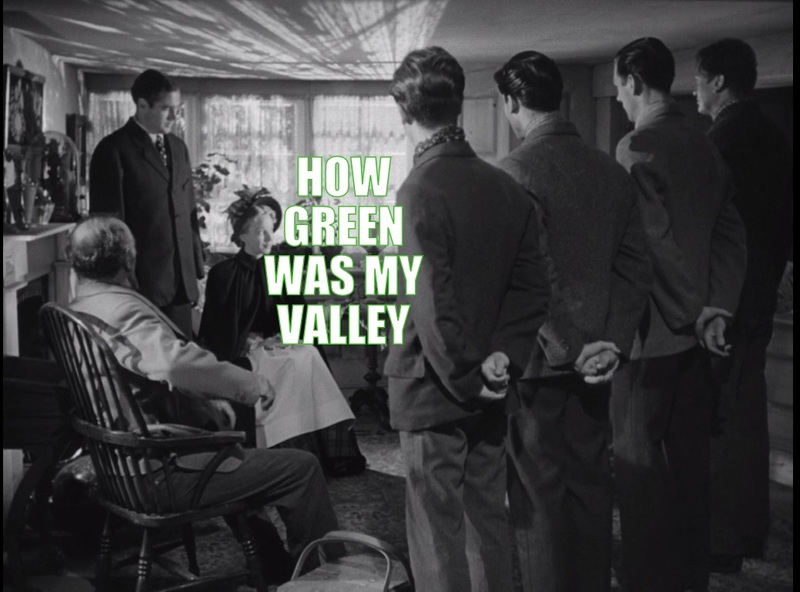 We don't get to see exactly *how* green that valley was, but we can easily imagine it. I think the film's nostalgic angle works even better because of the black-and-white cinematography. To modern eyes, at least, it feels like a fond memory, romanticized and sentimental, and I don't think that color cinematography could have done so as effectively. I almost went with this shot too. It's sappy, but it gets me every time.